I recently bought 2 lamps at a garage sale for a buck each. They are in pretty perfect condition, except that they are an unholy, glossy white. They are, to quote my Daddy, “Ugly as homemade sin.” I know I want to spray paint the lamp bases, but I needed some inspiration to re-do the lamp shades. 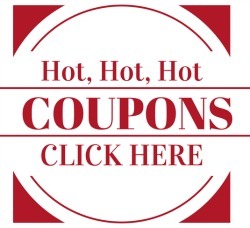 As always, I went searching for what I needed online. 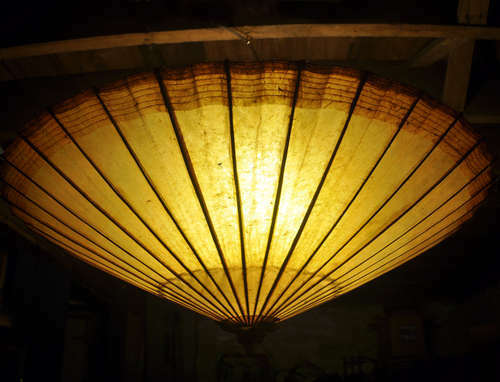 Thankfully I found some DIY lamp shade ideas from people who are far smarter, and far craftier, than little ole me. 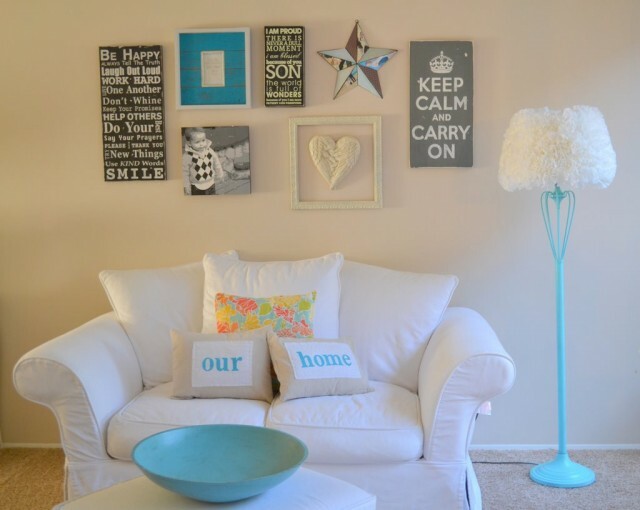 Crafty Little Chick lives up to her name with this DIY lamp shade tutorial. 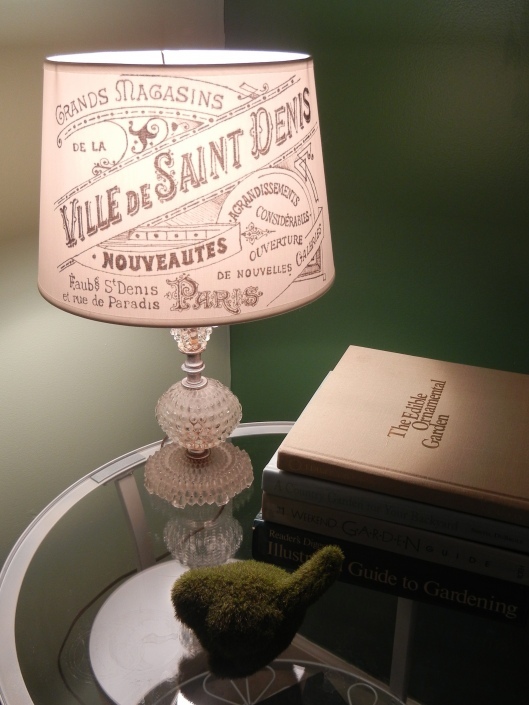 Using fabric, she gives a plain Jane lamp shade a kick. Bonus: no sewing! All praise the n0-sew fabric glue! I used to know a man known to children everywhere as Uncle Bubbles. True Story. 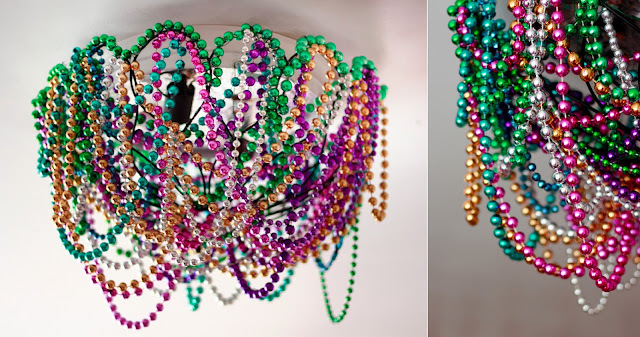 Also a true story, Aunt Peaches is a crafting goddess who manged to turn Mardi Gras beads into a stupid cool DIY lamp shade. I don’t know what she had to do to get all those Mardi Gras beads, but so long as the result was this piece of lighting fabulousness, she is forgiven. Respected, even. 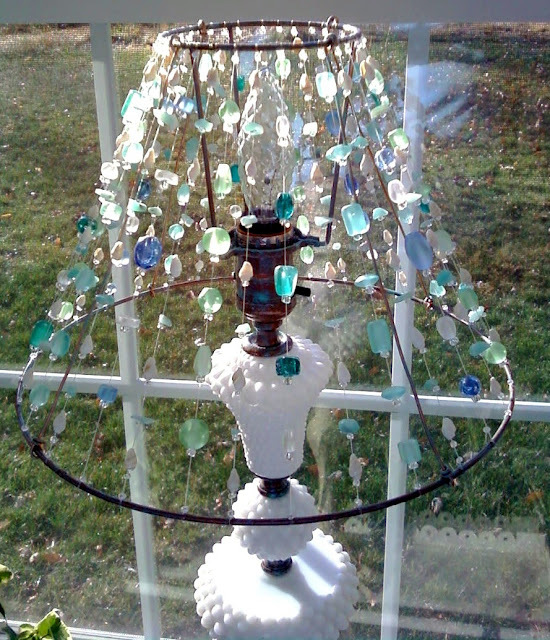 Coming up on Oprah, more beads on DIY lamp shades and the women who love them. Suesan at Frou Frugal saw the box and stepped outside it. That makes me heart her. This lamp shade is ridiculously delightful. I want to sneak into her house while she is sleeping, and steal it. Is that weird? I see pop tops and think “trash.” Beautiful minds see pop-tops and think “lamp shade!” That’s why I’m not a zillionaire – my brain is two sizes too small. 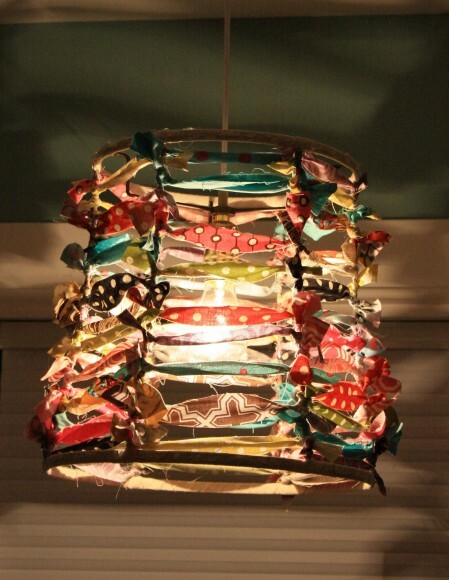 From Makezine, take a look at this DIY lamp shade from pop tops. Isn’t it awesome??? 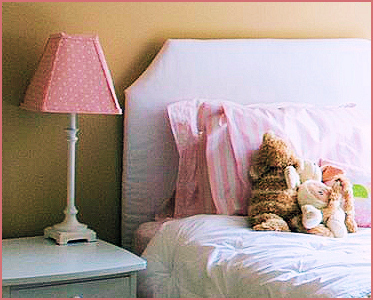 Rosy Red Buttons saw a lamp shade by Pottery Barn Kids and did what all good humans do – she figured out how to make one herself. It’s so girlie and so precious. It’s almost sweet enough to make my teeth hurt. I love it! 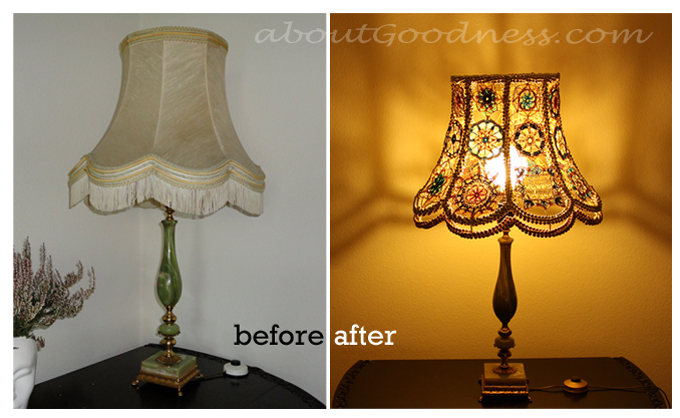 This lamp shade makeover was done with a Sharpie by A Little Glass Box. 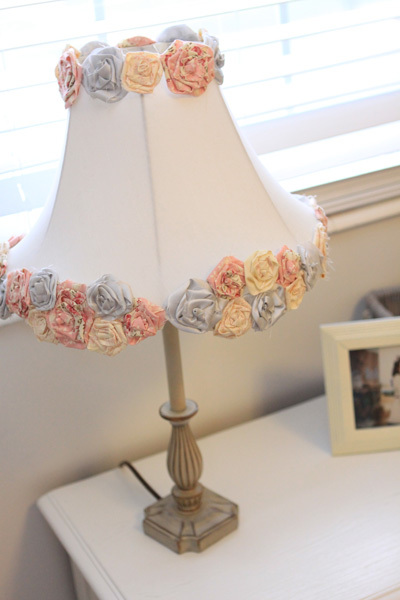 This is the lamp shade tutorial I think I may actually be able to do on my garage sale lamps. It’s very cool, very unique, and it requires only a skill I learned in 1st grade. There may be hope for me thanks to the brilliance of someone else’s creative mind! When you reach the point in your life that you can take coffee filters and make something beautiful from them, you have achieved crafting nirvana. Gotta be. 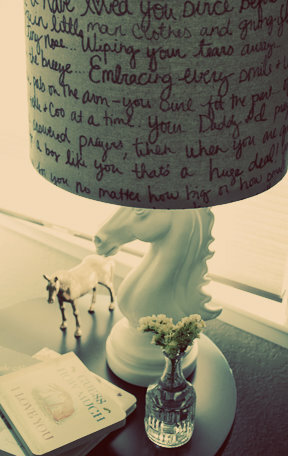 Little Miss Momma gave this lamp an AMAZING makeover using coffee filters. I swear, I am in awe. PS: How much do you love the colors in this shot? Doesn’t she have an eye for putting things together? Young Wifey also grabbed a Sharpie to makeover her lamp shade. Instead of writing, she traced, and the result is so adorable, it’s crazy. Can you imagine using a child’s coloring book and colored Sharpies? Wait… did I just have a creative thought? That can’t be right. Scrapalicious! That’s what I have unofficially named this beautify from The Pleated Poppy. Seriously, it’s cute as a bug, isn’t it? It makes me want to rip my ex-husband’s clothes into shreds and make a lamp shade. 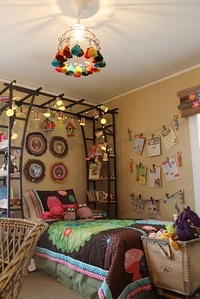 Do you love these lamp shades? Aren’t the bloggers who created them super talented? 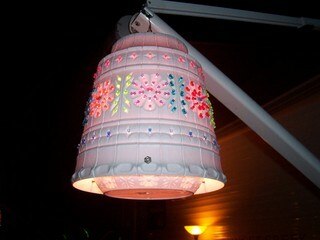 If you know about a DIY lamp shade I should see, let me know! I’m always drawn to lights. 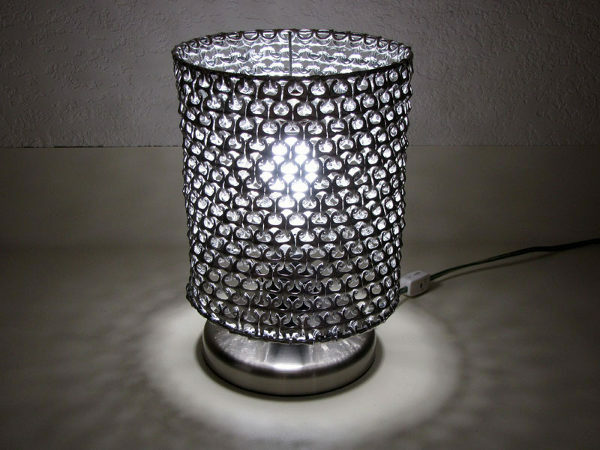 Anyone can plug in a boring lamp, but when I see lights that look a little different, or are made from something unique, I get super excited. I’m never great at DIY anything. I can admit that to you because you’re my BFF blog reader. However, these DIY lights are kind of easy to make – which I believe means there is hope for me yet. 1. This hanging umbrella light from Instructables is a DIY project that doesn’t require any hard-wiring. 2. 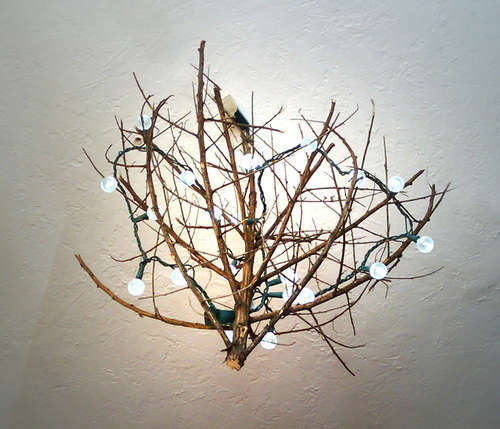 Perfect in a rustic living room or den, this tumbleweed chandelier light looks pretty easy to make. 3. This cloud-like ceiling light is adorable. 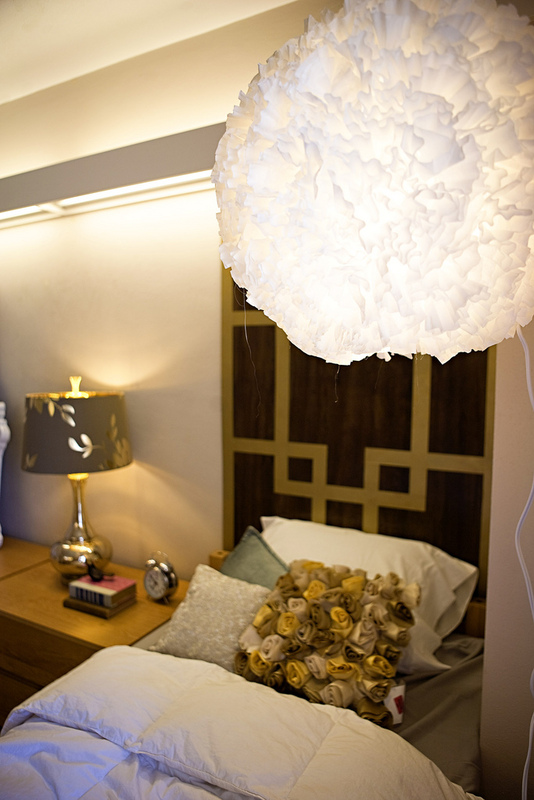 Felt sheets are the trick to this DIY light from Casa Sugar. 4. 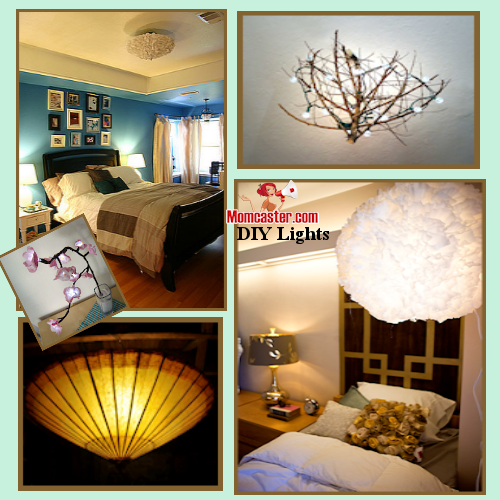 Kara Paslay Designs created another DIY cloud light for only $17 and lots of coffee filters. I just absolutely love it. 5. 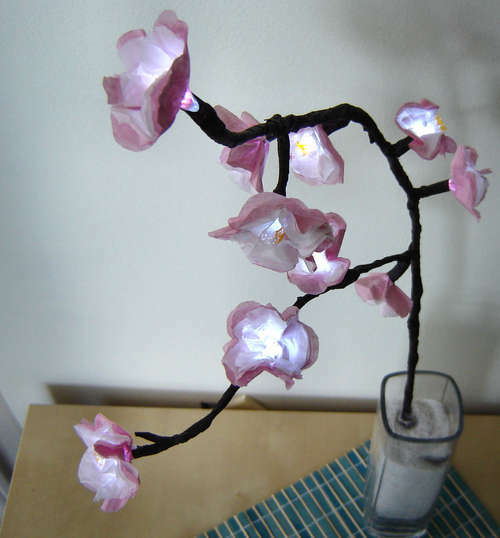 Cherry Blossom Lights? Oh yes! These are precious and I imagine they’d be perfect in a bedroom. 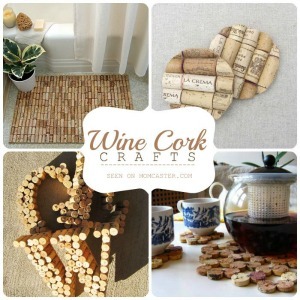 From Instructables, they are inexpensive and made from things found at the Dollar Store. If you share this post with someone you like, rest assured I am mentally thanking you. If you share it with someone you hate, I am mentally in awe of you. When I see things that light up that have no business lighting up, I get inexplicably excited. Anyone can buy a lamp. It takes someone special to make incredibly unique lights using your super craft talent and things you find around the house. Everything I look at now holds potential for me to somehow make it glow in the dark or twinkle and shine. I suppose it’s a good thing the ex got my dogs in the divorce. 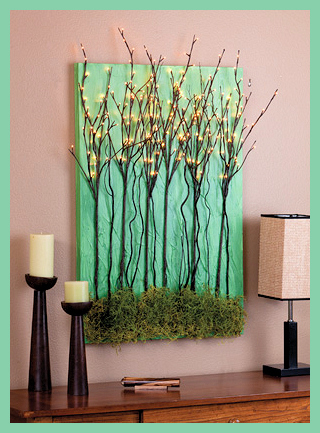 You’re going to love these DIY lights. Make sure to visit the websites of the brilliant, crafty minds who created them and by all means, show ’em some Pin Love. They surely do deserve it. 1. This first project from Make Something combines two kinds of DIY awesomeness, so it scores with me in a big way. 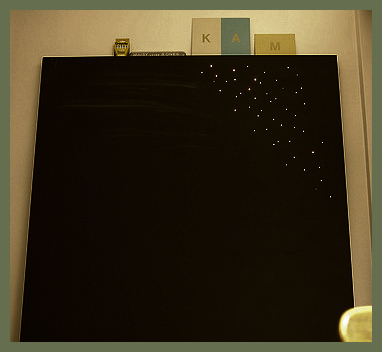 It’s a chalkboard (I dig chalkboard paint) and it lights up! Yes, please. 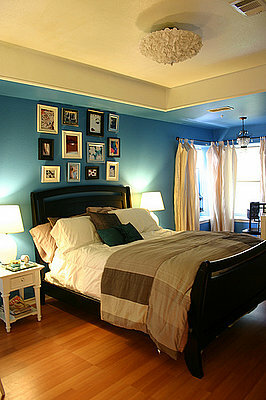 The only thing better than something covered in chalkboard paint is something covered in chalkboard paint that twinkles. 2. 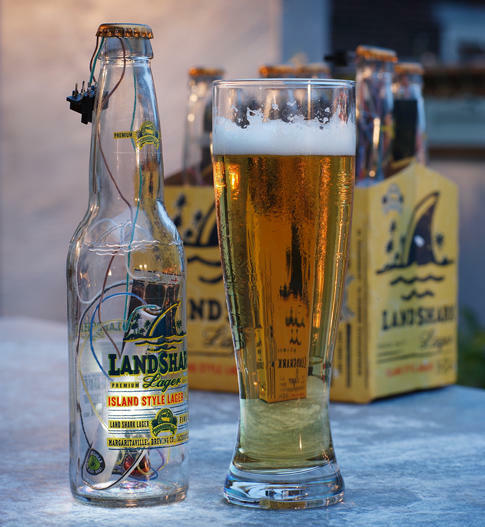 What kind of fresh party cool would it be to have these beer bottle solar lights sitting around? Yep… totally solar charged. Do you love it? I’m loving it. Get the how-to from Popsci. 3. Zedomax found this swing that is about to cause me to stroke right out. 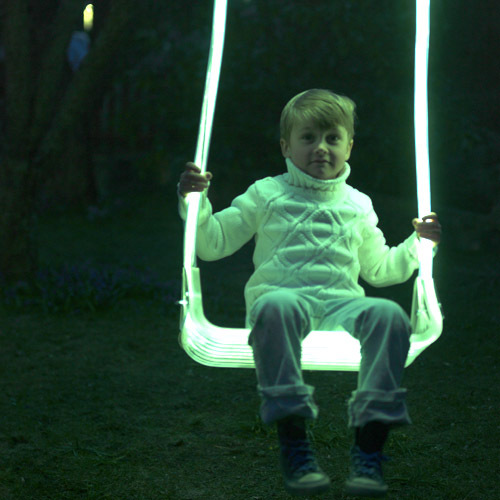 I would have FREAKED OUT over a swing like this as a little girl. There are no how-tos, but surely someone can master this. If you do, please report to me…I will hug you. 4. From Shelterness, this wall art blows me away. It definitely belongs in my imaginary cottage by the sea. The branches are lights. I am in deep lust. 5. 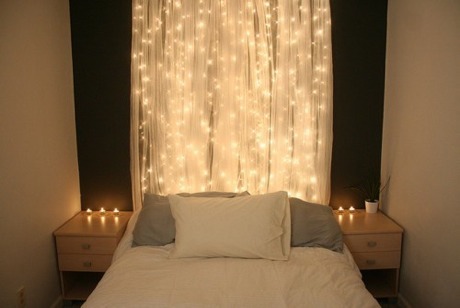 Also from Shelterness, take a look at this cool way to hang white Christmas lights in a bedroom. 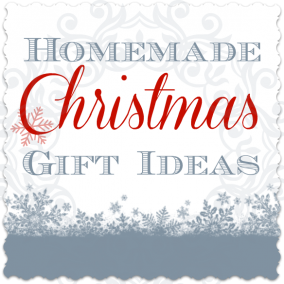 I love the feeling Christmas lights create, and this would be a very inventive way to keep that feeling going all year. 6. 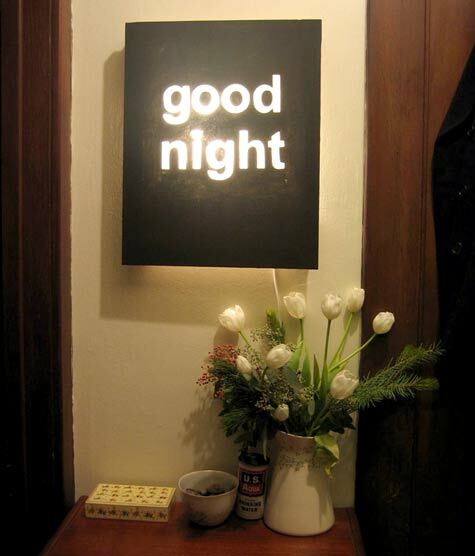 From Design Sponge, this “Good Night” light is made from canvas. I’m not nearly talented enough to try this on, but maybe you can. I think the ideas you can take away from this project for your own home are many. 8. 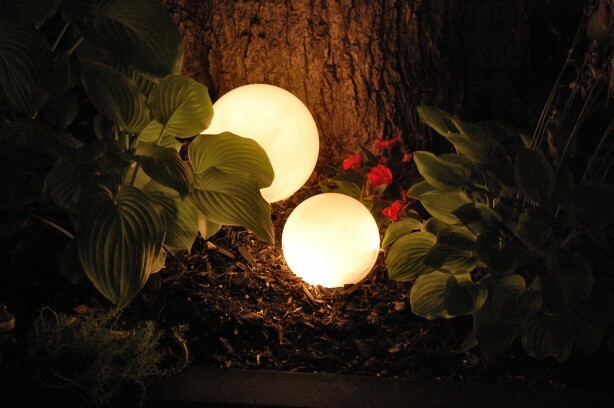 These flower pot lights are cute as a bug and belong in a garden for sure. I would imagine those of you with wonderfully creative minds could make lots of these as the instructions on Missouri Scenic Rivers say flower pots are turned upside down and a light kit inserted. Every time someone shares this post, my ex-husband feels a little pinch. Won’t kill him, but it does make me feel a little better. Go ahead…make my day.